GILLESPIE, ROBERT, merchant and businessman; b. 1785 at Douglas, Lanarkshire, Scotland; d. 3 Sept. 1863 in London, England. Robert Gillespie came to Montreal in 1800 to join his older brother, George Gillespie*, a partner in the firm of Parker, Gerrard, and Ogilvy which was one of the major components of the XY and, later, the North West companies. There is no evidence that Robert ever served the firm in the northwest as a wintering partner; he seems to have worked only in the company’s Montreal offices where he and his brother rose quickly to become its principal partners. In 1816 the firm changed its name to Gillespie, Moffatt, and Company. George Moffatt was the principal associate and others involved were Samuel Gerrard*, Jasper Tough, John Jamieson, James Blackwood Greenshields, and Robert Patterson. By the early 1820s Gillespie’s function in the company was the management of its London offices. Whether for his work or for personal reasons he moved to Britain in 1822 and he remained there until his death. By 1842 partners of Gillespie, Moffatt, and Company in Quebec, Toronto, and London provided important links with the major commercial centres of Canada and Britain. During these years copartnership arrangements were commonly made and within this framework there were regular changes of personnel as contracts usually lapsed at three or five-year intervals. Robert Gillespie and George Moffatt, however, were always the principal partners as the business grew and diversified during the 1840s. Gillespie, Moffatt, and Company was the largest importing house in Montreal, and sold a wide variety of British manufactured goods. The firm was also extensively engaged in trade with the West Indies; by 1837 it was trading regularly between Quebec and Jamaica with its own and rented ships. Besides at least one vessel of its own, the firm also held interests in a number of Quebec-based ships. Its huge Montreal warehouse, owned by Gillespie, had room for 10,000 barrels of flour, 20,000 bushels of wheat, and 7 to 8,000 barrels of beef and pork as well as special facilities for inspecting, packing, and coopering pork. In addition, the firm was the Canadian agent of the London-based Phoenix Assurance Company, one of the first companies to sell fire insurance in Canada. Robert Gillespie was involved in most of the controversies respecting Canadian trade, taking the side of the Montrealers who argued for liberalization of British regulations. 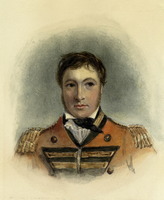 During the political turmoil in Lower Canada of the late 1820s [see Denis-Benjamin Viger], he appeared as a witness before the select committee of the British House of Commons on the civil government of Canada. Reflecting the general assumptions and aspirations of most English speaking merchants in Lower Canada, Gillespie recommended the establishment of registry offices and the political union of the Canadas as measures which would greatly improve business conditions. He pointed out that, because of the unavailability of registry offices, information about mortgages and other encumbrances could not be easily obtained thus retarding both settlement and investment in the province. Many Canadian merchants invested their money in Britain, he asserted, rather than in the inhospitable environment of Lower Canada. Like many other merchants Gillespie supported efforts to improve Canadian transportation facilities in order to make Montreal a more competitive entrepôt; he was a director of the Company of Proprietors of the Lachine Canal, a group formed in 1819 to build a canal around the rapids a few miles upstream from Montreal. The company failed to raise sufficient capital and the project was taken over in 1821 by the Lower Canadian House of Assembly as a public work and completed in 1825. In addition to his interests in Gillespie, Moffatt, and Company, Gillespie became involved in a number of other Canadian business ventures. One was the British American Land Company formed in 1834 with London backers who included, besides Gillespie, Edward Ellice, another former Montreal merchant then living in Britain; also involved were George Moffatt, and Peter McGill [McCutcheon*]. This company’s vast holdings of land in Lower Canada’s Eastern Townships became a political issue during the later 1830s, but the company nonetheless continued and eventually prospered. 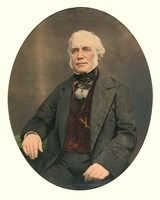 An early supporter of the Bank of Montreal, Gillespie served during the 1820s as its London agent. 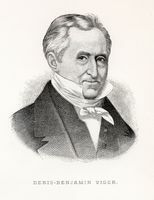 By 1836, however, again in company with London financiers, he helped to found the Bank of British North America which became a powerful competitor of the Bank of Montreal. Gillespie appears to have prospered in Britain. Besides a London residence, he maintained a Scottish country seat, Springhill, in his native county of Lanark, not far from his brother George’s estate of Biggar Park. Robert Gillespie died in London in 1863 leaving a modest estate valued at less than £50,000. Of his two daughters and three sons only Robert Jr seems to have developed any financial interest in Canada. Robert lived for some years in York (Toronto) where, in 1832, he opened a branch Gillespie, Jamieson, and Company. Later he moved to Britain, and in 1853 joined a group of London and Liverpool investors who formed the Canadian Steam Navigation Company which for two years operated a line of steamships between Liverpool and Montreal. ANQ-M, Greffe de Henry Griffin, 16 sept. 1842. BUM, Coll. Baby, Doc. divers, G2, 1820–30. Château de Ramezay (Montréal), Antiquarian and Numismatic Society of Montreal, no.707. General Register Office (Edinburgh), will and codicils of Robert Gillespie, 4 Jan. 1864. McGill University Libraries, Dept. of Rare Books and Special Coll., ms coll., Frederick Griffin papers. PAC, RG 1, L3L, 126, pp.62161–232; RG 42, I, 175, p.14. Can., Prov. of, Statutes, 1847, c.101; 1852–53, c.131. G. B., Parl., House of Commons paper, 1828, VII, 569, pp.375–733, Report from the select committee on the civil government of Canada (repr. Quebec, 1829). Montreal Gazette, 15 Feb. 1845. Campbell, History of Scotch Presbyterian Church, 265. D. [G.] Creighton, The empire of the St. Lawrence (Toronto, 1956). Denison, Canada’s first bank, I, 220. R. C. McIvor, Canadian monetary, banking and fiscal development (Toronto, 1961), 38. 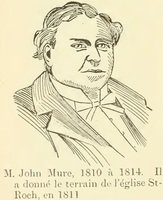 Montreal business sketches with a description of the city of Montreal, its public buildings and places of interest, and the Grand Trunk works at Point St. Charles, Victoria bridge, &c., &c. (Montreal, 1864), 183–87. Phoenix Assurance Company Ltd., First in the field ([Toronto, 1954]), 13. Semi-centennial report of the Montreal Board of Trade, sketches of the growth of the city of Montreal from its foundation . . . (Montreal, 1893), 46. Gerald Tulchinsky, “Construction of the first Lachine Canal, 1815–1826” (unpublished ma thesis, McGill University, Montreal, 1960), 39; “Studies in the development of transportation and industry in Montreal, 1837–1853” (unpublished phd thesis, University of Toronto, 1971), 480. Gerald Tulchinsky, “GILLESPIE, ROBERT,” in Dictionary of Canadian Biography, vol. 9, University of Toronto/Université Laval, 2003–, accessed April 26, 2019, http://www.biographi.ca/en/bio/gillespie_robert_9E.html.